Lower East are heading for the opening this afternoon of Real Monsters. 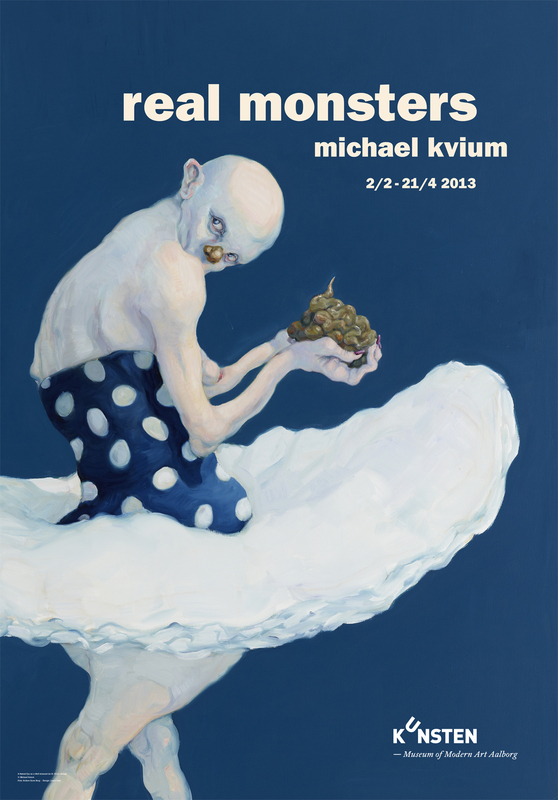 Michael Kvium at KUNSTEN – Museum of Modern Art Aalborg. We have designed the catalogue and poster for the exhibition. We are happy about it, looking forward to the respons from the artist and the museum. “They emerge out there in the murky twilight. These monsters we see, but cannot catch. They seem familiar. We give them names, describe them precisely and create myths about them, so everyone thinks they know all about them.” Michael Kvium. The exhibition presents 30 recent works by Kvium and is a result of close collaboration between KUNSTEN and Michael Kvium. It presents several new works alongside other paintings and sculptures from recent years. The exhibition runs from February 2 to April 21, 2013.